What Types of Software Can Optimize Your Retail Business? Technology has certainly become influential in the retail industry over the last decade, and its influence keeps growing. eMarketer projects that the total retail market will reach nearly $28 trillion by 2020. If you want to run a successful retail business today, you have to connect with your customers when and how they want. As technology touches every stage of your customers’ buying journey, it’s vital to choose the right retail software solution for your company. In this article, we talk about the main types of retail software that can help to provide a seamless and consistent customer shopping experience. Let’s consider each of them in detail. Ecommerce software allows a business to sell products and services online. Whenever you buy or sell something over the internet, you’re involved in ecommerce. Ecommerce software enables online store owners to add and remove products, fulfil orders, process payments, and so on. Examples of ecommerce software include Shopify and 3dcart. On-premise. You need to install on-premise software on a local server or computer that will be managed by a team that handles manual updates, fixes problems, and so on. Software as a service. This solution is more hands-off because all updates, new features, and patches are applied automatically. A SaaS solution allows you full customization and flexibility with quick launch for a low cost. Quickly start your online business. Most ecommerce software provides an easy-to-use website builder for creating online stores, including pre-built templates. All you need to do is put your store elements in place, add product descriptions, prices, and images, and set up a shopping cart and you’re ready to sell online. Global market for your products. With ecommerce software, you can reach anyone anytime from any location. Open 24/7. One of the biggest advantages of ecommerce is that your store is available 24 hours a day. With ecommerce software you aren’t restricted by the work schedule of your employees or your physical location. An ecommerce system provides total automation so you don’t need to constantly monitor your store. Cost efficiency. Unlike a physical store, ecommerce software doesn’t require you to rent expensive space in a prime location and employ sales staff. All you need to do is pay monthly for an ecommerce system that reduces your expenses and maximizes profits. Quality customer service. Ecommerce software offers customers a quality online shopping experience. Your customers can easily select products, place orders, and pay with a convenient online payment system. Product catalog. The product catalog shows your customers the products you’re selling. Your online catalog should contain product information such as product names, descriptions, images, and prices. Your product catalog must be designed to attract your customers. Search. This feature makes it easy for customers to find products. Ecommerce software provides the opportunity to list, categorize, and update products and provide product descriptions. Ordering system. To allow customers to make purchases, you need an ordering system. An ordering system lets customers add products to their cart, calculates the total, and collects shipping addresses, billing addresses, payment information, and other information as part of the ordering process. Shopping cart. 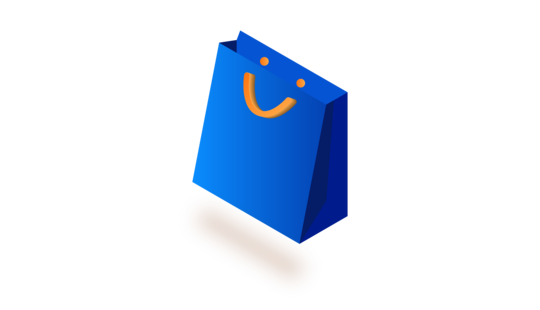 This feature allows customers to put products they want to purchase in one place. 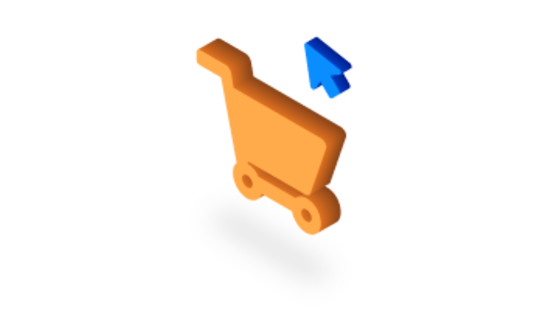 A shopping cart provides information about delivery methods and payment and, of course, allows customers to submit orders. It’s important to note that a shopping cart should detect the difference between a completed and abandoned sale. Inventory management. This feature allows sellers to manage every product in inventory, categorizing products by department, class, vendor, location, fabric, season, color, or any other attribute a seller defines. Customer management. The seller-customer relationship may continue after an order is fulfilled. Sometimes sellers need to process requests for exchanges or returns. To improve this experience, a company should demonstrate perfect customer service. A customer management feature helps manage customers by gathering and storing information such as customer name, email or phone number, shipping address, and order history. Payment processing. Without this feature, customers can’t purchase products. You can integrate online payment services, payment gateways, and seller account providers to provide secure and reliable payments. Integrations. Integrations allow you to handle different tasks including email marketing, accounting, payment processing, and order fulfillment. Integration with various business apps and third-party platforms allows you to do all of the above within a single piece of software. 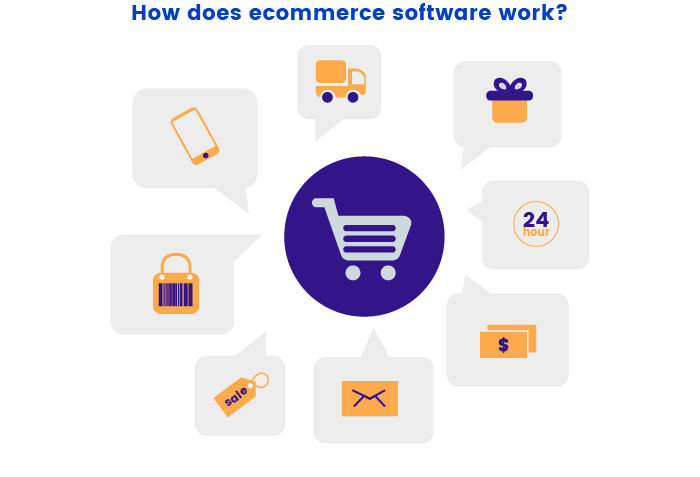 Who can benefit from ecommerce software? Ecommerce software is a good choice for retailers, sellers, and merchants who are seeking to gain an edge in a highly competitive market. Unsurprisingly, the majority of ecommerce software users are in the retail industry. 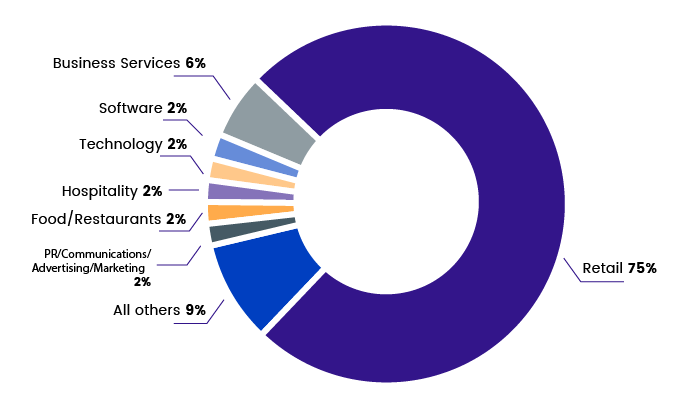 However, 25 percent of users are in other industries such as food services, hospitality, and business services. An ecommerce platform provides online businesses with tons of benefits. Ecommerce software saves time, money, and effort while providing customers with first-rate service. It simplifies and automates every selling process for your online business. Inventory control software is a system that handles all aspects of managing a company’s inventory: tracking, managing, and organizing product sales, material purchases, and other production processes. Inventory management software often works with barcodes, radio-frequency identification (RFID), and wireless tracking technology to support inventory tracking and control. Zoho Inventory and Logiwa are good examples of inventory control software solutions. Thorough planning and product stock predictions. Inventory management software allows companies to plan ahead since the system can track product status and extract historical information to forecast company sales. Timely delivery. One of the key benefits of inventory management software is that it can prevent delivery delays. A software solution even enables customers to see the status of their orders and track order movement. More satisfied customers. Thanks to personal service and precise answers at any time, customers will be more satisfied with your service and approach. For example, with an inventory control system, your customers can track order status. Inventory control allows you to track inventory and stock with automatically updated stock levels each time a sale is made. Order management allows you to synchronize orders with inventory and receive sales reports in real time. Inventory optimization allows you to keep the right amount of stock at any given time. Inventory optimization helps to optimize a company’s internal operations thanks to automated demand forecasting. An accounting system automates invoicing and provides greater visibility over costs and profits with multi-currency pricing and more. Sales reports provide deep insights for making better business decisions. This feature allows you to generate sales history and order reports by channel, customer, location, product, and so on. Barcode inventory management allows you to scan barcodes of items and watch the fields get auto-populated every time you create an invoice or sales or purchase order. Order fulfillment lets you automate and fulfill a large volume of orders at lower costs. For better visibility, order fulfillment solutions allow you to integrate processes, locations, and channels. Batch and expiry tracking provide better product traceability, thus helping to maintain better customer relationships and improve business workflows. Inventory reports give real-time insights into stock movement. Price lists allow you to manage custom price lists in different currencies and for various customer types, product categories, time zones, and so on. 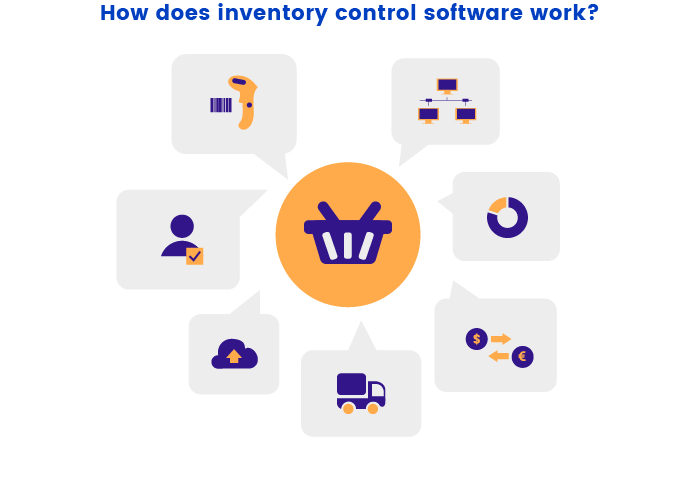 Who can benefit from inventory control software? In today’s business environment, even small and mid-sized businesses have come to rely on automated inventory management systems. Inventory control software is becoming essential in wholesale, retail, service delivery, and other industries by helping companies track their products and distribute them to all interested customers. For firms operating in industries that feature high volume turnover of raw materials or finished products, tracking systems have become a key component of business strategies focused on increasing productivity and maintaining competitiveness. 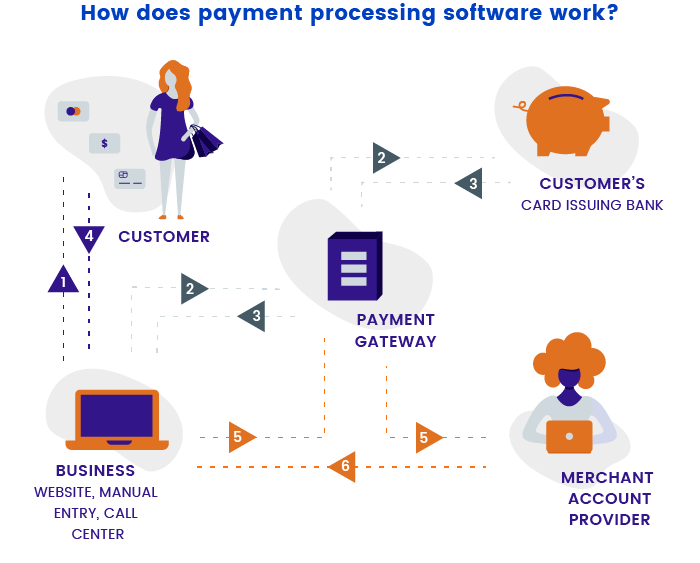 Payment processing software connects ecommerce sites via a virtual terminal with other payment systems that accept credit cards and other payment methods. Payment processing software provides a secure platform where users can add their card or bank details and communicates with the financial institutions that approve or reject transactions. FreshBooks and Xero are two great examples of payment processing software. Customer records let you collect customers’ personal data and purchase data and attach relevant files in a centralized database equipped with search filters for easy access. Invoice creation allows you to create clean and professional invoices that can be customized for your organization. Payment processing software should allow you to extract and integrate information from projects, timesheets, and customer records. Online payments include multi-currency support and in-line processing, meaning the interface is seamlessly integrated with your site. Supported transactions include pre-authorization, capture, sales, and void. Refunds may also be supported. An administrative dashboard provides sellers with information about payments, full or partial refunds, real-time transactions, check processing, and transaction statuses. Bank reconciliation keeps track of money in and out with daily updates and simple bank reconciliation. Storage for credit card details allows one-click payments for returning customers. All credit card information is safely stored by the payment processing software. Returning customers don’t need to add shipping and billing addresses again — only their credit or debit card details. Credit card processing saves time and facilitates billing by processing credit cards quickly and allowing for recurring billing and secure customer management. Reporting provides smart financial reports and budgets to understand and track what matters most. Who can benefit from payment processing software? Businesses need to ensure that their finance and operations functions are set up to support the selected payment method. Payment processing software is vital for online businesses to be able to accept credit card payments. This software allows companies to manage their expenses, generate digital bills, gain important insights into their customers’ spending habits, and offer customers rewards based on their buying behaviors. Point of sale software enables transactions between customers and a company. 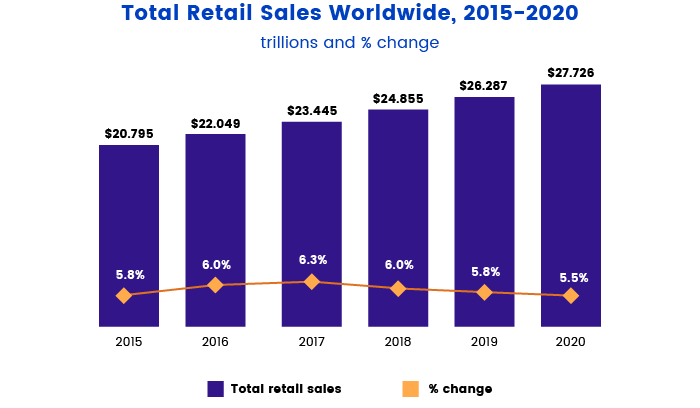 According to Global Market Insights, the size of the worldwide retail POS market in 2015 exceeded $14 billion. The industry is projected to grow at an annual rate of 14% from 2016 through 2024. Toast and Vend are examples of point of sale software. In addition, there are POS systems for restaurants and cafes that allow restaurant owners to control their business through a single platform. There's a slight difference between POS software for retail and restaurants. For instance, orders in a restaurant POS aren't immediately closed after the purchase since it takes time to prepare a dish. In retail POS, the order is completed immediately. Also, restaurant POS software has such distinct features as table layout (to know what table to bill or to track the restaurant capacity) and customer tracking and analytics features. An example of POS software for restaurants is Upserve that provides features like payment processing, analytics that help boost margins, and inventory management. On-premise. With on-premise software, you need to purchase a license for the software and install it on a computer system or server. You’re responsible for updating and maintaining the system. For large companies, this may require IT specialists. Cloud-based or Software as a Service (SaaS). 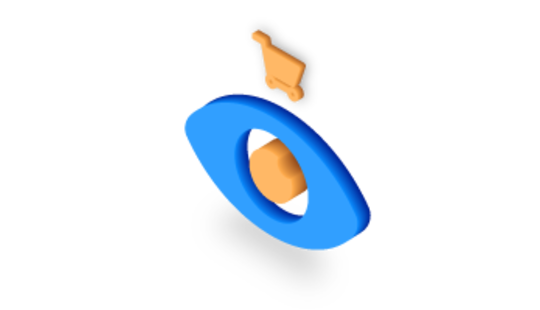 With a cloud-based model, you access software over the internet. If there’s no internet connection, most point of sale software track sales and sync them when the system comes back online. Accurate operations. Selling things involves information about prices and quantities, clients, and products. Processing all of this information manually can easily lead to errors. With a point of sale system, employees can avoid double-checking each customer’s order and additional information. That’s because retail POS software can store transactions, manage inventory, and analyze sales patterns accurately. Increased efficiency. Managing invoices and orders, sales figures, and reports is very convenient with a point of sale system. Beyond the office environment, point of sale software also increases the efficiency of the everyday sales environment through different features such as barcode scanners and credit card terminals. Faster service. A point of sale software solution offers a faster checkout process compared with cash registers. The software allows you to make the most of the checkout experience to attract customers and ensure they leave with a good impression of your brand. Good analytical thinking and planning. A point of sale solution allows you to track inventory, notice and analyze sales tendencies, analyze sales reports, and track extra data to more precisely predict future trends and your organization’s requirements. Inventory tracking informs you if you have enough stock in your store and other branches. Sales reporting and analytics allow you to capture and analyze vital data on product sales as well as revenue and ROI. This feature also allows you to determine which products need more marketing efforts so you can craft better sales-boosting strategies. Customer profiles allow you to automatically create profiles with new orders. Customer profiles can also help you learn more about customers and their shopping habits and find customer contact information and order histories at a glance. Employee management allows you to efficiently manage employees’ time and optimize productivity by keeping track of what employees are working on and when. Custom sales allow you to create custom line items and set the price to anything you like. Speedy product search allows you to query products by name or code, scan barcodes, or select items from inventory to add them to the transaction. Order history allows you to view all past orders made in the store and online and search by customer, product, or date. A taxes feature allows you to automatically calculate taxes based on a store’s location. If needed, a company can disable taxes or set custom taxes for a specific product or order. A return feature creates returns with ease, giving the option to print receipts with scannable barcodes to speed up the process. Barcode support assigns existing barcodes to products or creates new ones. You can quickly scan in customers’ orders using a wireless barcode scanner. A gift cards feature allows companies to sell gift cards that can be redeemed in-store or online. Gift cards can also be emailed to customers or printed by a receipt printer. Integration capability provides smooth integration with other business systems and apps that a company uses, such as accounting software or e-commerce solutions, so that a company can manage other tasks and processes from within their system. Email marketing collects email addresses at checkout to notify customers of upcoming sales or new products. 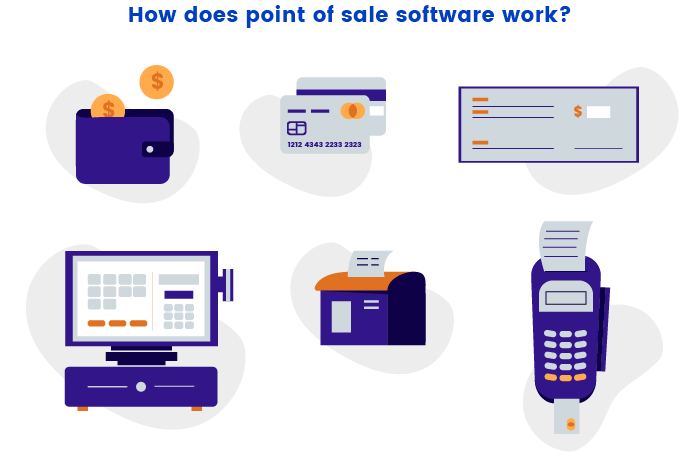 Who can benefit from point of sale software? Point of sale software is essential for organizations that sell products or services, for example restaurants and retail shops. Modern POS solutions not only process customer purchases and record sales. They also help manage tasks to make sales processes more productive. If you’re a small retailer, a point of sale system is ideal for your company since every day your employees have to deal with tracking and recording sales, managing customer information, and monitoring inventory. Point of sale software copes with all of these things perfectly. Large businesses can benefit from point of sale software too because point of sale software works as a networked system and can combine data from terminals in different store locations. Retail management software is a platform that contains an integrated set of tools that retailers can use to operate their businesses. For example, a retail management system can contain tools for inventory management, point of sale, and customer relationship management (CRM). Netsuite and Lightspeed are examples of retail management software. Streamline transaction processing. With the right retail software, transactions become faster and easier. Increase efficiency and minimize data collection errors. Retail management systems allow you to capture and store customer information, which can later be used for advertising, promotions, and more. In addition, retail management software organizes, simplifies, and automates day-to-day business processes and transactions, reducing the effort needed for repetitive manual operations. Improve inventory management. A retail management system provides details on current inventory and identifies extra inventory needed to smoothly manage the business. This allows retailers to place the right purchase orders, thus avoiding surpluses and minimizing waste. Control promotions. Retail management software helps to plan promotions, predict performance, and then analyze the results. This means that businesses can offer their customers discounts and promotions while being able to control the impact of those activities on the product’s profitability. Inventory management allows you to manage every product in inventory in every sales channel, categorizing them by department, class, vendor, location, fabric, season, color, or any other attribute you define. Customer management offers advanced customer search using demographic and purchase history, records comprehensive customer purchase history, and exports results instantly. A purchasing and receiving feature helps you to enter inventory data on time. The software automatically shares this information to every app that needs it. Sales data management allows retailers to keep track of all details of deals and contracts and makes it easy to analyze performance quickly and dynamically. A customer database stores detailed customer history including purchases and contact information along with customer feedback. This allows a business to improve their services according to the customer’s requirements. Barcode scanning allows an inventory system to print barcodes so that a business can keep their items neatly tagged and trackable. 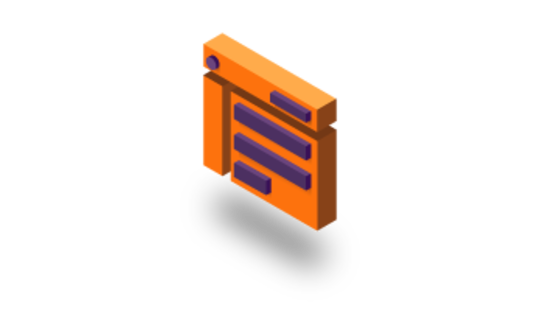 This feature allows the inventory system to know exactly where each product is in the system. Employees can scan barcodes when a product enters the company’s stock, when they ship a product to another store, or when they sell it. A loyalty program is a great marketing tool. Retail management software can let businesses set up loyalty programs to reward customers with points for recurring purchases while managing all customer information and preferences in the customer database. A reporting feature provides detailed information on any metric you choose. With this feature, you can monitor your business’s performance in an easy-to-read format. A dashboard can put key figures in front of you. Real-time performance data can be used to optimize trading, inventory allocation, and staffing. Who can benefit from retail management software? Store owners can benefit from retail management software since these systems provide multiple services in one place and streamline the process of running a store. Such everyday tasks as checking out customers, managing and buying inventory, and keeping track of finances can be easily managed using retail management software. Retail management systems even have marketing and analytics tools to help improve business. Enterprise resource planning software is a business management tool that integrates all data and related processes across an organization. An ERP system allows you to collect, store, manage, and interpret data from different business activities and departments in one place. 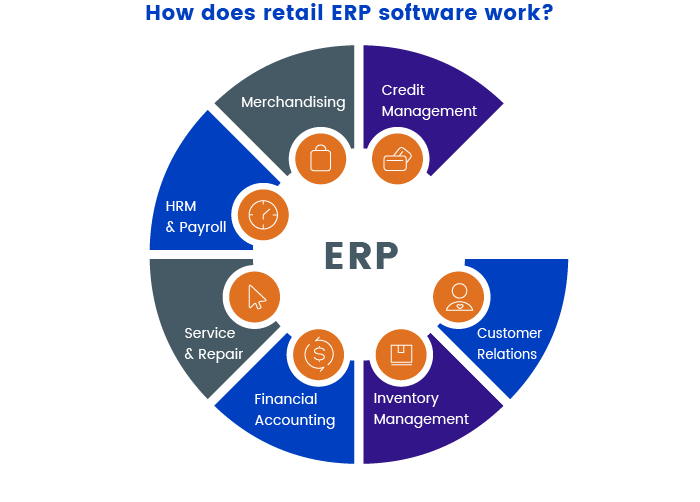 Acumatica and SYSPRO are examples of retail ERP software. Customer management helps to collect data on customers’ purchase histories, allowing a company to identify its most valuable shoppers. Inventory management helps effectively manage inventory and track goods. Inventory management is vital since it ensures that a company has the stock required to complete transactions. A rewards and loyalty program management feature allows companies to apply different types of member programs that offer promotional and marketing schemes according to major retail practices. This feature allows you to create customer segmentation and membership levels like Gold, Silver, and Platinum and allows customers to collect points. Employee management stores employee information, performance data, lead times, shift scheduling, and so on. This feature allows monitoring who’s working, how long an employee has been working, and how much money an employee has brought in. A store and warehouse operations feature streamlines operations related to store and warehouse management. This feature supports the creation of any number of stores and warehouses that have links with each other. It also supports dividing warehouses into zones for materials management. Product management allows companies to organize items by type, category, price, and season. This feature also supports different versions of your products, such as multiple sizes, colors, materials, and expiry dates. Product management offers product warranty management, product expiry handling, and product lifecycle handling. Pricing and discounts management allows companies to reduce pricing errors, improve the productivity of teams, and keep customers satisfied. Who can benefit from ERP software? Retail ERP software is a good fit for every retail business in retail verticals such as food, grocery, clothing, and restaurants. For example, grocery stores can use ERP software to get data from cash registers to let employees know how many products sold today and to let vendors know how many products to ship. Omnichannel software takes a fully integrated approach to sales and marketing, providing customers with a unified experience across online and offline channels. Omnichannel software lets customers seamlessly shop across physical and digital channels: in-store, online, or on a mobile device. For a better understanding of what omnichannel retail software is, check out the video below. Better customer experience. An omnichannel system allows customers to interact with a company in a way that feels natural to them. Omnichannel software enables companies to successfully respond to customer demand in the way that customers desire, thus increasing customer satisfaction. Increased sales. An omnichannel system can increase sales in different ways. For example, thanks to data centralization, companies can sell products via new channels. Moreover, an omnichannel system can use its inventory transparency across channels to fulfill orders for items that would otherwise be out of stock. Increase brand identity. Engaging with customers on different channels helps companies to improve relationships and increase branding. Increase operational efficiency. Integrating all sales channels leads to increased efficiency, so organizations don’t need to worry about double entry or inventory inaccuracies anymore. Boost traffic. A company that goes omnichannel can provide more ways and reasons for customers to visit its online store. Purchase management keeps suppliers, purchase orders, quotes, and other things under control. This feature provides flexibility in receiving, sending, and tracking orders and helps companies reduce risks and make smarter and faster purchasing decisions. Inventory management automates inventory control across sales channels and warehouses in real time. It allows tracking inventory information quickly and accurately, managing stock, and predicting supply needs with set stock rules. Multi-warehouse inventory management lets companies effectively manage multiple warehouses and inventory locations worldwide from one place. This feature provides the flexibility to transfer and request stock between warehouses. Order fulfillment modernizes orders across sales channels and warehouses. This feature allows employees to pick, pack, and ship a company’s inventory quickly and efficiently. It provides flexibility since order fulfillment functionality generally allows companies to choose drop shipping, picking from a warehouse, or processing backorders. A reporting feature provides accurate sales and inventory reports. It lets companies keep track of key business statistics everywhere in real time. This feature provides an opportunity to see detailed reports broken down by product, warehouse, payment method, and so on. A loyalty program gives the ability not only to attract new customers but also to stimulate customers to come back for repeat purchases. 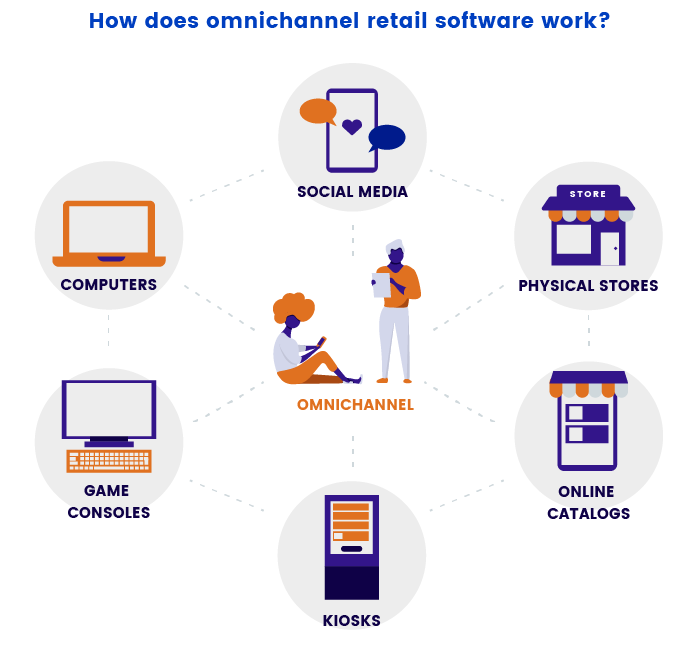 Who can benefit from omnichannel retail software? Omnichannel retail software is a good choice for retailers, sellers, and merchants who want to build a streamlined solution with measurable revenue growth while engaging and building a satisfied and loyal customer base. With omnichannel software, businesses can have access to a large amount of data and optimize processes, supply chains, and assembly lines on a more granular level. An omnichannel solution can allow organizations, for example, to communicate with one another and function as a single entity. Omnichannel solutions allow businesses to decrease costs and increase their speed to market. Customer relationship management (CRM) software allows companies to manage their interactions with current and potential customers. A CRM system analyzes historical customer data to improve business relationships with customers, specifically focusing on customer retention and driving sales growth. Eposnow and SpringBoardRetail are examples of retail CRM software. Market segmentation. CRM solutions collect a lot of data and provide tools to segment that data based on market and target audiences. They also offer access to data visualization tools, such as charts and graphs, for further analysis. Efficient for different teams. A CRM automatically stores communications, allowing you to view emails, calendars, and phone call details in one easily accessible place. With this feature, teams can seamlessly work together to improve the bottom line. Effective use of time. Instead of spending time on administrative issues and problem solving, a CRM solution automates a series of self-service processes allowing the team to focus on their main job. Improve customer service. With access to complete order histories and customer interactions, employees can take a unified approach toward customers, instantly improving the customer service the company can provide. Build lasting wholesale relationships. Access to a full customer audit trail and order history allows a company to work efficiently with its wholesale clients and build lasting relationships with them. Customer data management plays a significant role in customer relationship management. This feature lets companies collect, store, and clean customer information. Having a deep insight into customer behavior is the foundation of a good CRM retail program. Manage vendors and franchise stores/service providers. This feature allows companies to manage virtual sales and services. It also offers self-service options to channel partners to configure, price, and order. A business can manage co-marketing and co-branding campaigns with this feature. Analytics and reporting allow companies to measure, manage, and track the success of campaigns. It provides an assessment of response rates, revenues, and returns on investment. Sales automation lets companies track customer interactions and automate specific business functions that are required to follow leads and attract and obtain new customers. Employee management helps track staff data such as contact information, performance reviews, and benefits. This feature lets companies more effectively manage their internal workforce. A loyalty and rewards feature offers tiered incentives for frequent customers. By tracking and understanding shopper purchasing behavior, loyalty programs provide rewards on the basis of amounts spent, products purchased, and when and where transactions happen. 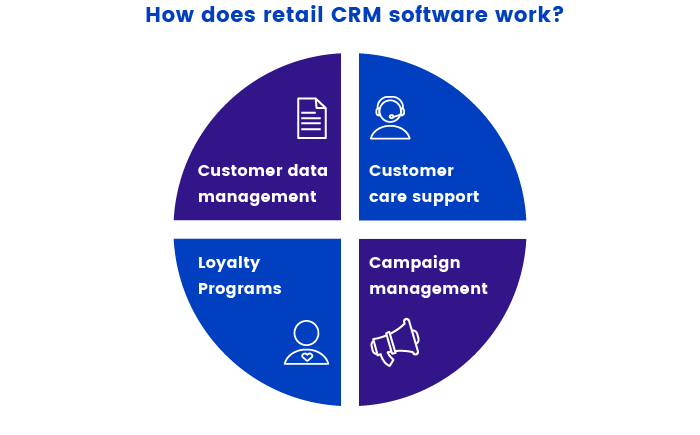 Who can benefit from retail CRM software? A retail CRM solution is designed for use by retailers and sellers. For example, CRM software can be used by bars, nightclubs, and restaurants — from full-service, quick-service, and franchise restaurants to food trucks, coffee shops, and lounges. With retail CRM software, retailers can share information across stores and districts, manage sales in the pipeline and provide after-sales service and support. Below you can see infographics with interesting trends and facts about retail. Are you ready to select retail software for your business? If you want to improve your customer shopping experience and increase efficiency by automating the sale process, contact us and we’ll help you realize your idea.